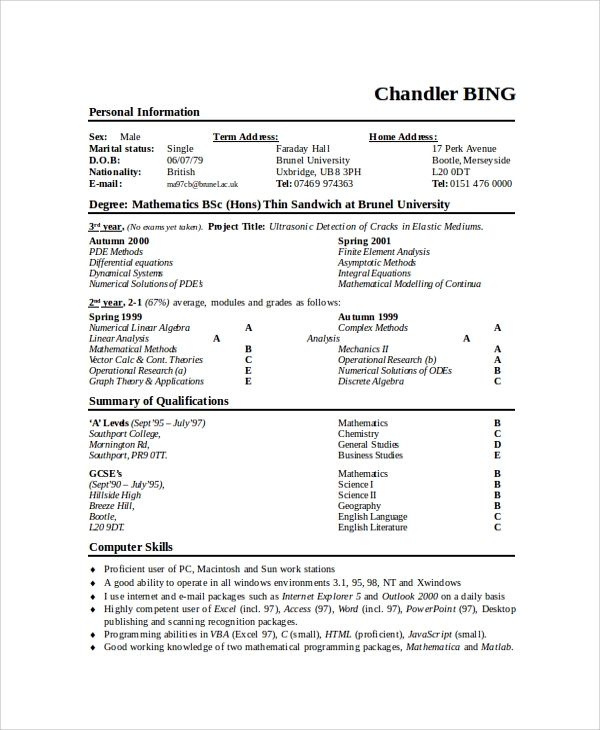 A college resume is precisely a document that showcases your skills, accomplishments, academics and experiences to the potential institutions and employers. Consequently, when you are going to apply for internships or jobs, a Sample Resume will be of immense importance. This is necessary regardless of you being a fresher or an experienced candidate. It is important to understand here that all resumes don’t need to look the same but all of them do follow some general guidelines. 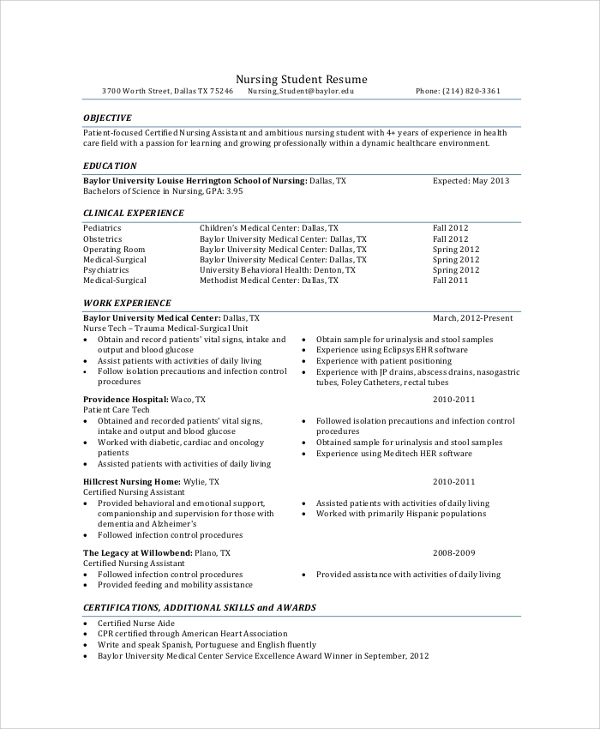 If you are preparing a resume for applying to internships, part-time /summer jobs or co-op positions, here’s a resume template that should give you a good head start. Apart from a resume, this template also includes a cover letter and details instructions on how to fill in the particulars. For students without any work experience or the ones switching to a different line of job, the resume will be the most significant instrument in gaining the attention and trust of the employer. While the template is more or less like a basic resume, it does highlight the important part of the candidate’s career, experiences, and achievements. Students who have completed their high school and preparing for college admissions or jobs will need to cater a different type of resume that will highlight their education, experiences, activities, awards, and references. Check out this template and save yourself the trouble of formatting. 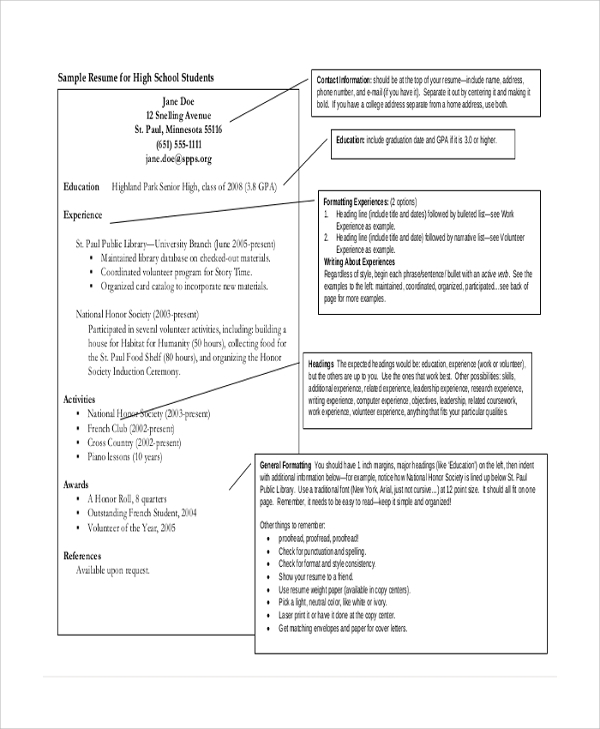 Depending on the course you are planning to apply for, here are some highly specialized resume formats for the high school students. The resumes cater to positions including freshman/sophomore, kinesiology, liberal arts, communications, computer science/engineering and Federal Government jobs. Each come with a different layout and should help you make a strong impression on the employer. 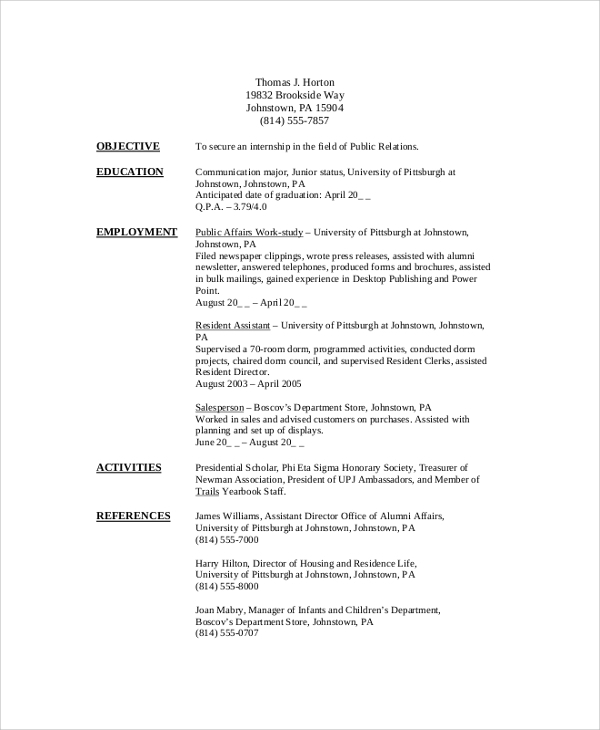 Your first college resume always needs to be impressive. It is not only needed to get admission into top colleges but also to build a habit of integrating perfection into your resume writing. Well, here are some samples that should help you out. Why Do You Need A Perfect Resume? 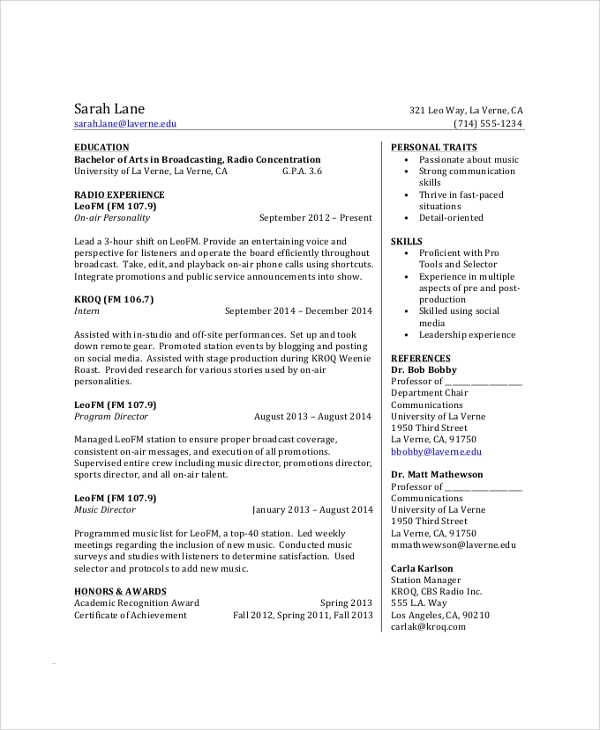 For Whom Is A College Resume Intended For? 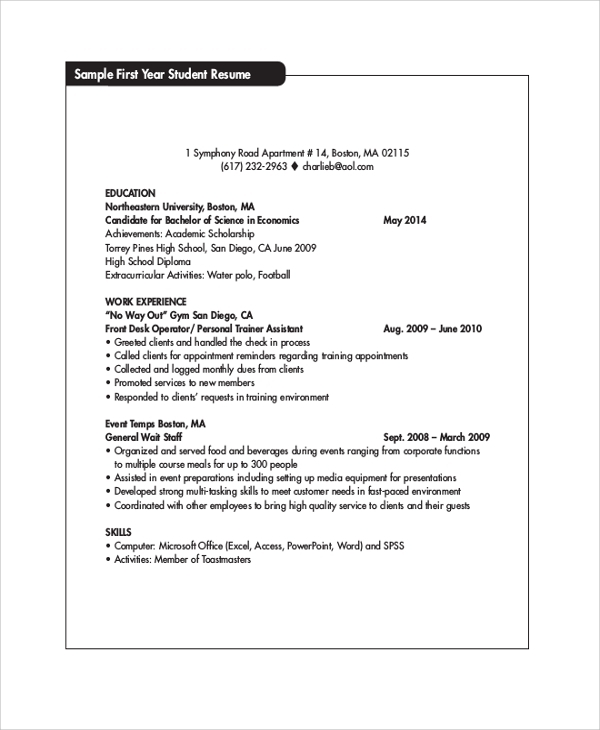 A college resume is designed for any student who is either planning to apply for higher course or jobs that require interviews and selections. Whether you are looking to get a seat in the art department of a college of your choice or get selected for the position of an intern, the resume would be the first point of contact for the authorities. 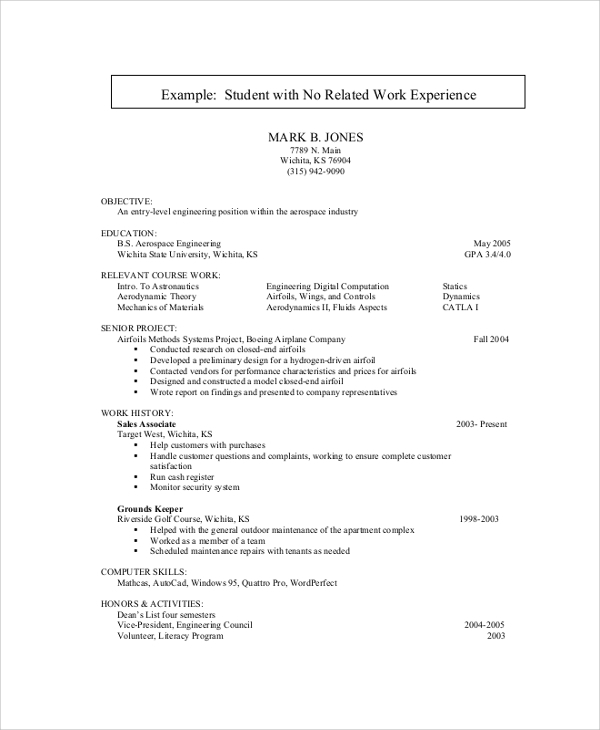 Here are some resume templates that should do your bidding. 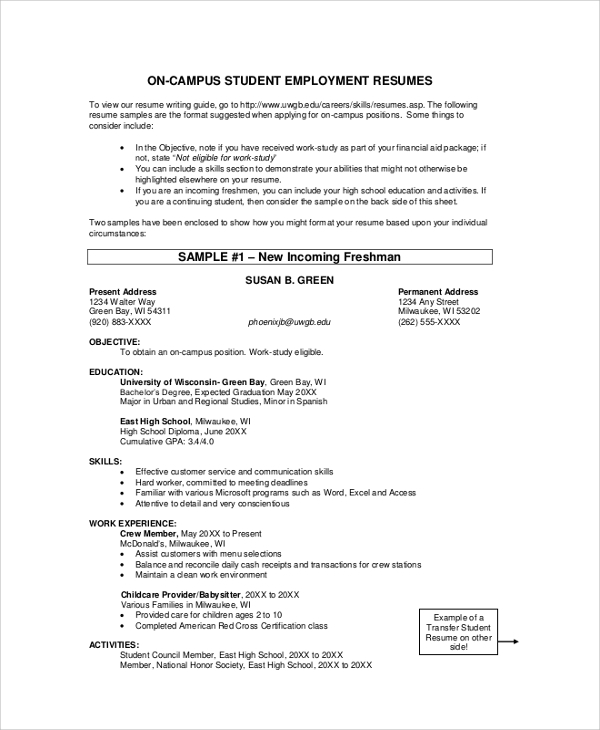 All the above College Student Resume Samples are available as.PDF files and can be edited to create personalized curriculum vitae.